While I spend a lot of time helping breweries across the country protect their trademarks, I also truly love craft beer and the industry. 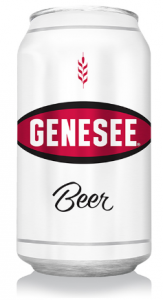 Ever since craft breweries like Firestone Walker, Founders, and Night Shift began releasing delicious and relatively low cost craft lagers I’ve been curious as to how they compare to the beers whose market share they presumably are looking to break into – the Bud/Miller/Coors of the world. 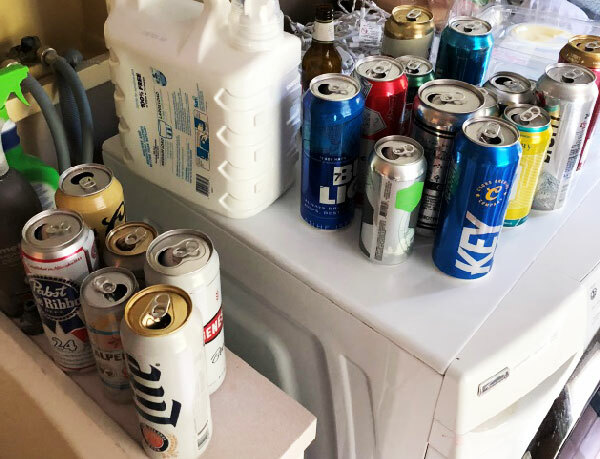 To that end, and inspired by the inestimable Josh Noel at the Chicago Tribune and Jim Vorel at Paste Magazine, I set up a blind pale lager tasting with a couple industry pitting macro lagers against craft lagers. The panel consisted of myself, a head brewer, a head brewer/brewery owner, and a brewery owner. The panel was generally aware of which beers were in the field but had no idea which beers they were tasting. My wife was kind enough to administer the tasting and did a great job. The beers were served in white plastic cups in flights of five and each beer was scored on a Untappd-esque scale of 0-5 in 0.25 increments, with a score of 5.0 representing the best pale lager each person could imagine. 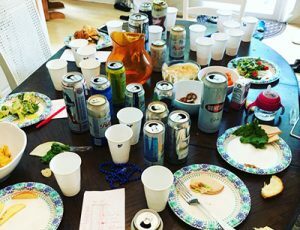 The scores were based on personal taste, i.e., what each person liked and didn’t like, not whether the beer fit any particular BJCP category. And I must stress that this was not a BJCP evaluation or anything super formal or even a true apples-to-apples comparison. The goal was not a scientifically pure study but rather to have fun and to compare pale lagers without any preconceived notions about craft vs. macro. The beers are listed below in alphabetical order. As you can see, they don’t fit within just one BJCP category. The unifying theme on the macro lager side was mass produced pale lagers typically available at gas stations – and the vast majority were indeed purchased at my local station. On the craft side I was mainly looking for new wave craft lagers inspired by American light lagers. To note, we tried a crowler of Prison City Crispy Boys (an American light lager with 40% rice), but it had been filled over two weeks prior to the tasting so I left it out of the scoring. I do hope Dawn, Marc, #maeso, and company at Prison City brew it again because it was amazing on tap at the brewery. There were definitely a couple of beers on the craft side I wanted to include but couldn’t find in time, including Utica Club (sorry Melissa! ), Night Shift Nite Lite, and some of my absolute personal favorites: Firestone Walker Pivo, Zero Gravity Keller, Hill Farmstead Mary, and Suarez Family Brewery Palatine. As you can see, our panel clearly was able to differentiate between the macro and craft lagers, with spots 1-8 all occupied by craft breweries. I was happy to see that 4 beers from my personal top 5 were ones I know and drink a lot of: Threes Brewing Vliet, 2. Firestone Lager, 3. Jack’s Abby Post-Shift, 4. Sixpoint Alpenflo, and 5. Suarez Family Brewery Qualify. I’m an enormous fan of Vliet, FW Lager, Sixpoint Alpenflo, and any lager made by Dan and Tay at Suarez Family Brewery (maybe my favorite brewery in the world). The only one I wasn’t particularly familiar with was the Jack’s Abby Post Shift Pils, but given the score I gave it I will definitely be drinking a lot more from the noted Massachusetts lager brewers. 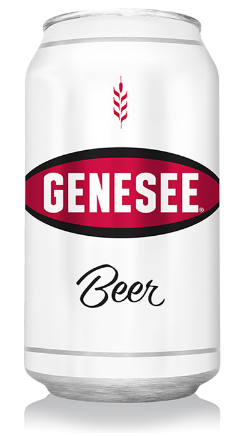 I was especially pleased to see Threes Brewing Vliet in the top spot, a beer recently named the best in New York State. It was the only beer I gave a perfect 5.0 score. I was also happy to see another personal favorite, Firestone Lager, slot in 4th. Personally I had it ranked #2 overall with a score of 4.75. I was fascinated to see how the trinity of Bud Light, Miller Light, and Coors Light would rank. Like me, I’m guessing many of you have a preconceived order in mind. For me it’s 1. Bud Light, 2. Miller Lite, 3. Coors Light. On my scoresheet, however, I was surprised to see the order was 1. Miller Lite, 2. Coors Light, 3. Bud Light. The takeaway? When buying macro lagers in the future I’ll be buying more Miller Lite. After Hamm’s, Miller Lite, PBR, and Miller High Life ranked so highly in the Chicago Tribune and Paste Magazine rankings, I was curious to see how they would hold up in our blind tasting. The answer? Very well. Miller High Life (# 9), Hamm’s (# 10), Miller Lite (# 12), and PBR (#13) occupied 4 of the next 5 spots after the craft lager block. 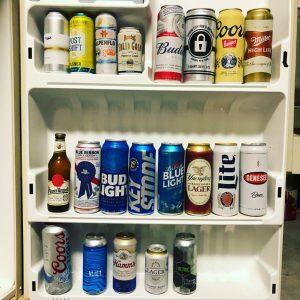 Keystone Light (#15), a sub-premium brand, even beat out Coors Light. A good day overall for MillerCoors. 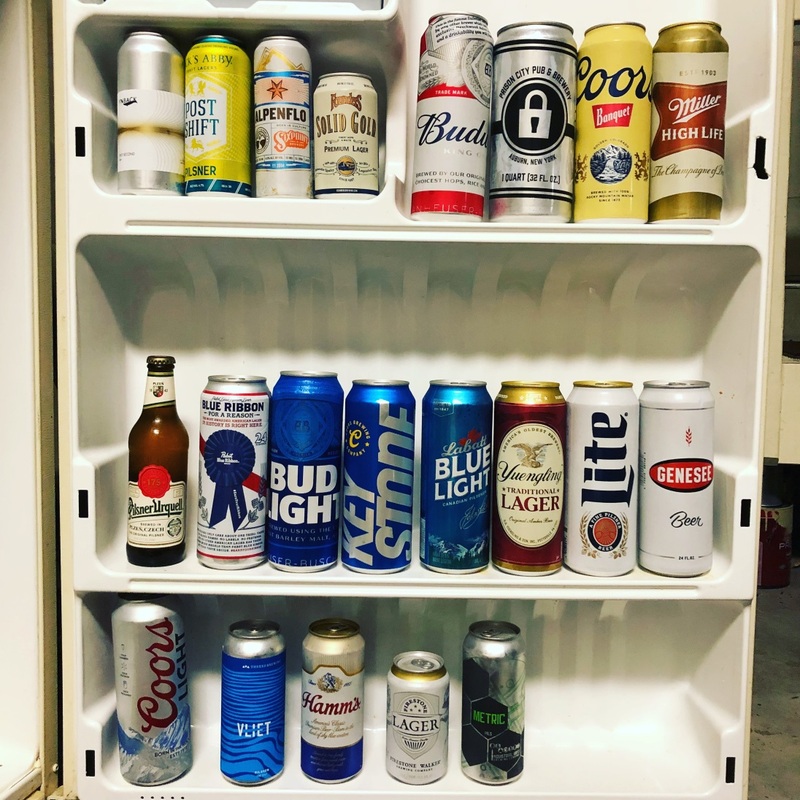 I was pleasantly surprised to see Labatt Blue Light also sneaked in that top range (# 11) as I spend a lot of time in Buffalo, NY where the Labatt flows like the water over Niagara Falls. I was shocked to see Pilsner Urquell (brown bottle purchased cold from a highly reputable bottle shop) came in dead last. Admittedly I haven’t had a lot of Pilsner Urquell in recent years, but it generally enjoys a good reputation and it blew me away in Prague – especially the unfiltered version (Pilsner Urquell Nefiltrovaný).